Before you head out to AAU tournaments, there are some steps to help create schedules for coaches on your staff. Follow this guide or reference the video below for a refresher. Download the latest version of the FastRecruit iPhone App from the App Store here. 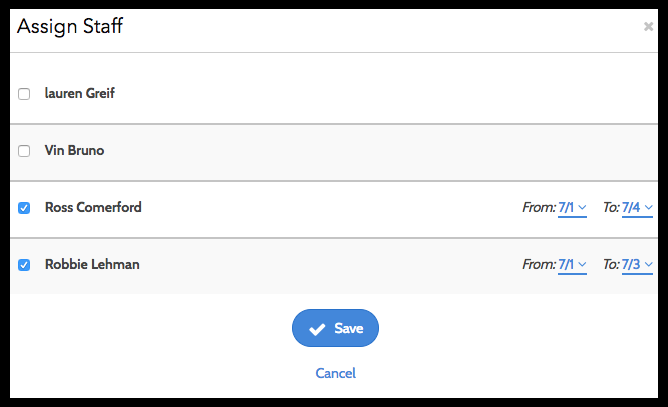 Add, import or delete recruits from your FastRecruit database as needed to ensure your list of recruits is accurate as possible. 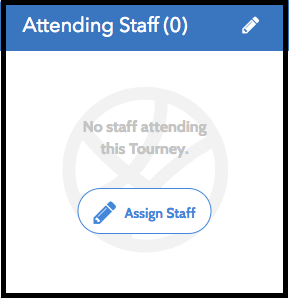 From the FastRecruit Web-Portal, select a tournament your staff is attending from the Tourneys tab and select 'Assign Staff'. Check the box next to coaches who will be attending, and adjust the dates as needed for the days they are planning to attend the tournament. If needed, you can assign coaches to tournaments from the Team View on the mobile app as well. Select a tournament your staff is attending and select 'Assign Recruits'. Search for and select one or more recruits from your database, then select 'Save'. Check the tournament list. Once you see the tournament flipped from 'Committed' to 'Scheduled', you can map the recruit to their tournament team. Once tournaments are listed as 'Scheduled', select the appropriate tourney team for each attending recruit. You will often see suggested teams based on the Club Team you have saved on the recruit's profile. If needed, you can assign recruits to their tournament teams from the mobile app as well. This is the equivalent to assigning a recruit to a tourney and mapping them to a team from the web-portal. Select a tournament your staff is attending, and select the green flag icon next to any coach. In the Follow Teams window, search for and select a team you'd like to follow, then toggle the switches on based on which coach you'd like to follow that team. Click Save once you'e added your teams. Following a team means that any game that team plays in will be added to that coach's schedule. This is best if there is a team without a specific recruit you'd like to track throughout a tournament.